I’ve got a Robocop that has no sound coming from the left speaker. I’ve checked all connections including the ribbon cable. My guess is a dead left channel amplifier. I can’t find schematics for the sound board. In this picture, which is the left speaker amplifier? 1,2 or 3? Looks to be the same as Secret Service. Left would be number 2. 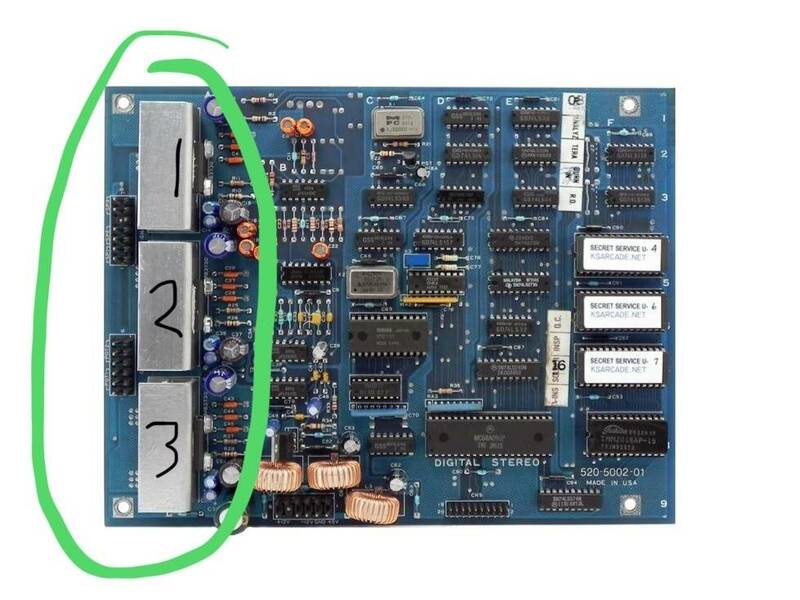 Get the full schematics for Secret Sevice from IPDB.com Also while looking at your pic, I noticed you have a bent pin at CN1 speaker output connector at the top. That could be your problem right there. Thanks for the info. I should have mentioned in my original post that the picture isn't my actual board. I wasn't near my machine at the time of posting to take a picture. Here is my actual sound board. 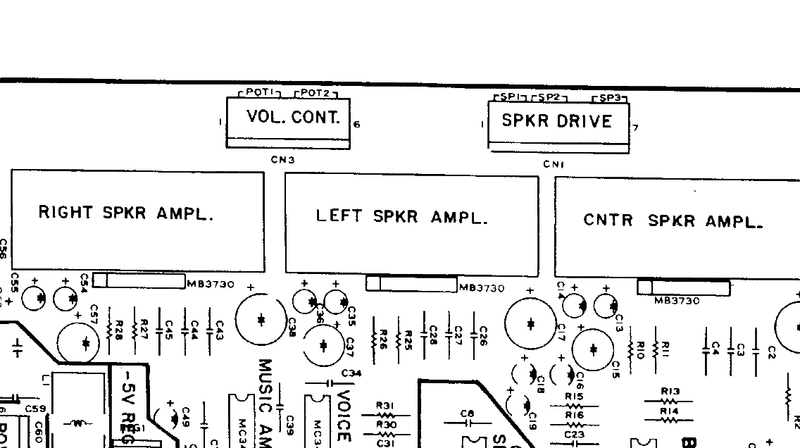 I guess I'll try ordering a new amplifier chip for the left channel and see if that helps. Is there a way to test an amplifier chip to see if it's bad or not? 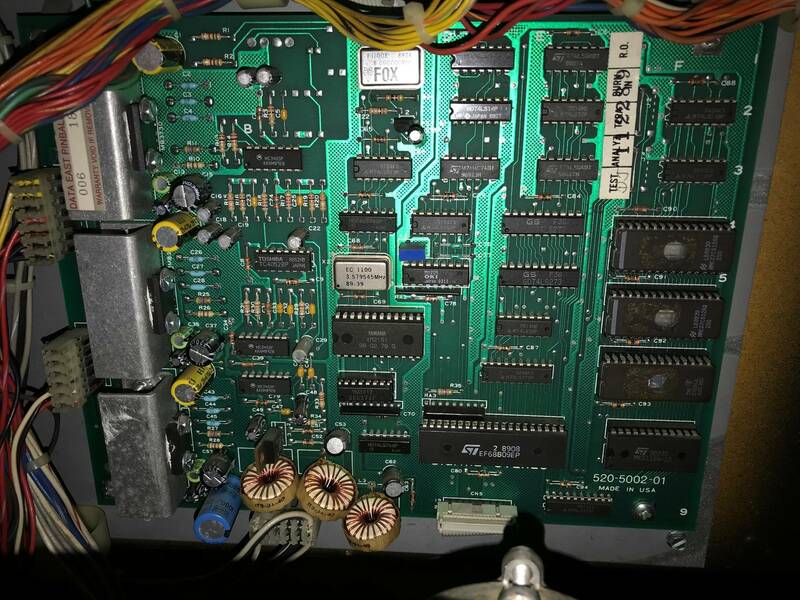 You could examine the pins with an oscilloscope. If it isn't the amplifier IC, it could be a capacitor problem or even something else.